Tag Archive | "Exchange-traded funds"
See how this question created a powerful investing strategy that can help make sure that you always have enough. 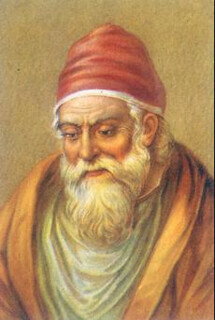 Euclid, Pythagoras, Einstein and Nash were four of the greatest mathematicians in history. They were of different eras. 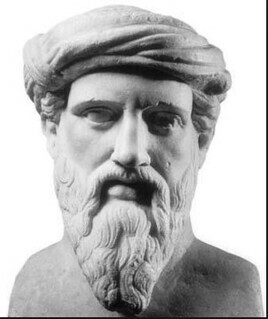 Euclid and Pythagoras were great, great grandfathers of math. Einstein and Nash, lived much later. The latter surely were influenced by the earlier math geniuses, but what might have happened had they all been able to huddle in the same room unleashing a torrent of brilliant formulas, theorems/proofs/ideas that could be used in the economic world? The benefits to humanity could be untold. The idea of getting mathematical geniuses together led to a benefit for us as investors trying to cut through the fog of rapid change and a financial industry that is integrity challenged. 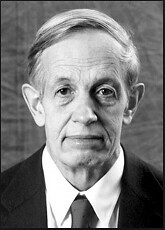 The idea of combing the brilliance of more than one math expert started me thinking about how I find good value equity investments by following the mathematical analysis of Michael Keppler. Michael is a brilliant mathematician. We have tracked him for over 20 years. 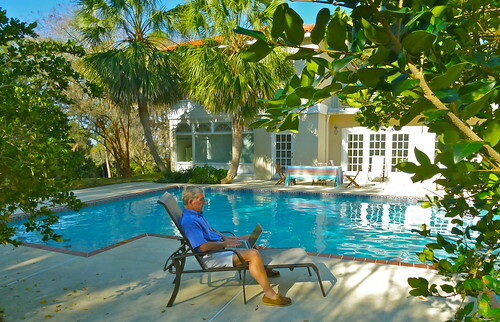 Michael continually researches international major stock markets and compares their value based on current book to price, cash flow to price, earnings to price, average dividend yield, return on equity and cash flow return. 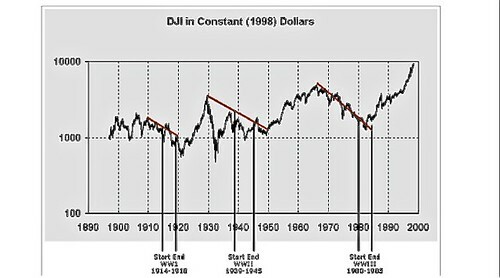 He compares each stock market’s history. From this, he develops his Good Value Major Stock Market Strategy. His analysis is rational, mathematical and does not worry about short ups and downs. My latest report “Three Currency Patterns For 50% Profits or More” reviews 10 good value developed markets and 12 good value emerging markets. 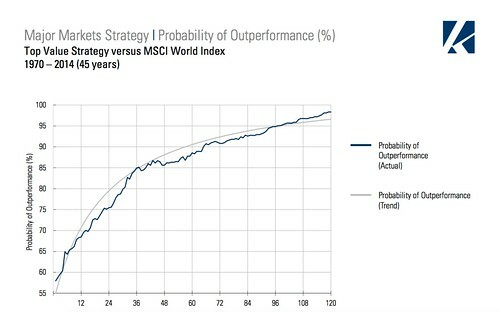 According to Keppler’s analyses, an equally-weighted combination of these markets offers the highest expectation of long-term risk-adjusted performance in each of these sectors. That report recommends dollar cost averaging into 19 ETFs, each investing in the MSCI Index of one of these markets. Another mathematical approach I have added to my investing armory is TradeStops created and operated by Richard Smith, a math PhD. who has created algorithms that set a Volatility Quotient (VQ) judging how much each share in its data base might rise or fall. The VQ is used to provide suggested trailing stops. Thinking of Euclid, Pythagoras. 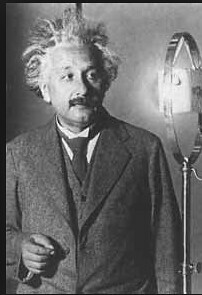 Einstein and Nash, I asked myself, “What if I combined Keppler’s analysis with Dr. Smith’s TradeStops? 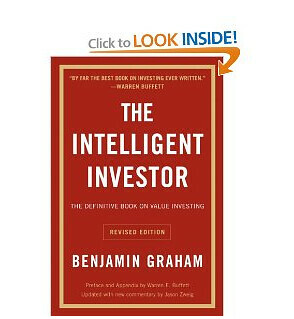 This would help me and my readers using double the mathematical logic to choose when to buy and sell good value investments. To test this theory, I used TradeStops to measure ETFs that are invested in Keppler Good Value Markets. Two of the samples I used were iShares MSCI Germany (symbol EWG) and IShares China Large-Cap (Symbol FXI). A part of the long term strategic trading strategy I use is to invest in low fee, diversified Index ETFs. This simplifies the search for value because it focuses research into simple, easy lumps. These two ETFs represent investments into two of the largest, most dynamic economies in the world. The beauty in this approach is that all we have to know is that these are large, dynamic, good value markets. You & I do not have to know much about Germany or China. You do not have to know anything about any of the shares in these markets or how the stock markets work or are currently moving or anything like that. What you do know is that the markets are huge players in the global scheme of things and that mathematically now is a good time to invest in them. We’ll look at why Germany (if a good value market) below but let’s compare China first because it is the world’s second largest economy (maybe even the largest). The iShares China Large-Cap ETF (symbol FXI) seeks to track the investment results of an index composed of large-capitalization Chinese equities that trade on the Hong Kong Stock Exchange. The fund generally invests 90% or more of its assets in securities in an index that tracks the performance of the 50 largest companies (that are available to international investors) in the Chinese Equity Market. A comparison of US versus Chinese Stock Market indexes gives an example of lump research and how to spot good value, low cost, diversified portfolios that offer maximum potential for profit as they reduce risk. China has long been the world’s largest nation in terms of population. Its economy has been growing faster than most other large nations. In February 2011 it formally overtook Japan to become the world’s second-largest economy. Given China’s higher economic growth rate, it has probably overtaken the US as the world’s largest economy, though statistics have not yet caught up with this fact. China is one of the world’s top exporters and is attracting record amounts of foreign investment. In turn, it is investing billions of dollars abroad. Yet when compared to US shares, Chinese share prices are cheap. China Stock Market Ratios. Price to Book 1.61. Price to Earnings 11.1. Dividend 2.85. USA Stock Market Ratios. Price to Book 2.86. Price to Earnings 20.0. Dividend 1.99. Chinese shares cost much less, compared to the values and earnings, than US shares. Chinese shares (surprising for an emerging economy) also pay much higher dividends as well. This is why according to Keppler’s analysis the Chinese Market is good value. Then I looked at these iShare ETFs via TradeStops. The iShare Germany ETF (EWG) has a 15.07% VQ. This means that this share is a low risk market as it is not likely to fall more than 15.07%. The trailing stop price of this ETF share is currently $26.01. The price is currently over $30. If the shares of this ETF drop to $26.01, TradeStops would recommend us to lock in our profits and later recommend when it’s time to invest again. The China Large-Cap ETF (FXI) has a higher VQ of 17.68%. 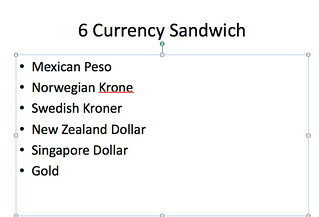 This is still quite low risk for an emerging market. The trailing stop price is $43.39. The price is currently over $51. If the shares of the China Large-Cap ETF drops to $43.39, TradeStops would recommend we lock in our profits and later recommend when its time to invest again. TradeStops uses a new algorithm called “Smart Trailing Stops 2.0” (STS 2.0). STS 2.0 is a step up from the typical trailing stop practice. The difference is that STS 2.0 uses an automatically-detected “Best High Price from the Past” rather than using your entry date and entry price as the initial point from which to trail the stop. A best high is a better indicator of value than your investing price because it relies on the dynamics of the market instead of our personal investing activity. This is a better way to stop from buying high and selling low. STS 2.0 sometimes “stops out” a share sooner than we might expect but having a best high, rather our investment price as the prime calculator, is a huge advance. Dr. Smith’s smart trailing stops have always been based upon the concept of the normal expected volatility range for a stock (the VQ). Smart Trailing Stops 2.0 adds the benefit of automatically identifying the best high closing price from which to trail the stop. This is valuable information! The fact that the STS 2.0 algorithm stops out a share is a red flag that the stock is not behaving normally as it has recently suffered a relatively severe correction. This gives us an early warning. This allows us to maximize profits without leaving a good value platform and without having to know about or track any of the specific underlying shares! 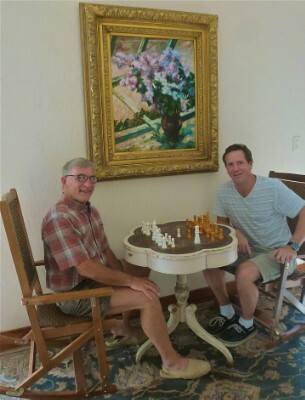 Together, the combined mathematical expertise of Keppler and Smith give us a new powerful investing dynamic. We can be intelligent and clever by letting mathematical wisdom aim us at good value investments and then protect our profits with mathematically sound trailing stops. If I were given a day to spend with Pythagoras, Euclid, Einstein and Nash, I doubt that I would gain a thing, except maybe a headache. I am no mathematician! I am, however, an investor with almost 50 years experience and know that the best investing strategies are based on numbers rather than stories. The most profitable long term investments are made with logic rather than emotion. Keppler’s and Smith’s hard efforts combined with technology mean that all of us can gain from their mathematical wisdom, when it comes to investing. All we have to do is be able to turn on our computers and let the numbers shape our investing for us. Learn how to use TradeStops here. 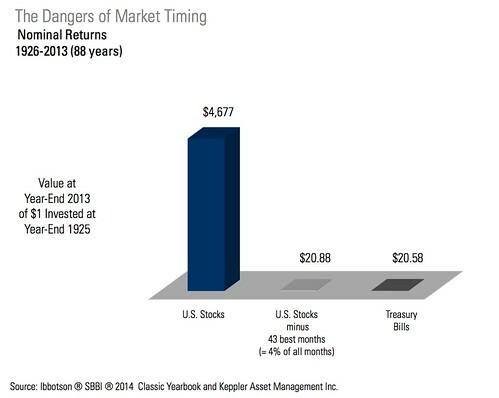 Learn more about why and the best way to invest in Keppler’s good value markets below. The equity market shifts that value analysis have predicted may be starting to steamroll a bit. This process will be helped by negative return European bonds. Last week in the Wall Street Journal article, “European bond markets go down the rabbit hole” said: Europe is no stranger to the avant-garde, the experimental and the absurd. But until now, they have largely been the preserve of the arts. Now the financial world—and in particular the bond market—is increasingly challenging fundamental tenets of investing. Take last week as an example. Switzerland became the first sovereign to issue a 10-year bond carrying a negative yield, raising 232.5 million Swiss francs ($237.2 million) with investors paying for the privilege of lending. And German yields continued to grind deeper into negative territory: yields on eight-year bonds briefly dipped below zero, while the two-year yield stands at minus 0.277%. There are some good points about European banking however, such as getting to visit great cities and great institutions like the Austrian cafes. 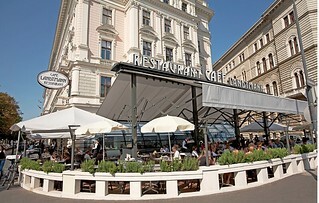 Cafe Lantmann Vienna, one of our favorite cafes. More on this in a minute. ENR Asset Management’s April 2015 Market Outlook shows some additional reason why European shares offer good value and more immediate opportunity now. The Outlook said: “The first quarter (Q1) proved challenging for global equities. After outpacing bonds the first two months of the year, the MSCI World Index struggled the latter half of March as earnings, fears, soft U.S. economic data, Middle East tensions and interest rate uncertainty drove investors out of risk assets. “The S&P 500 Index, red- hot over the past several years, has succumbed to more volatility and trails Europe, our prime regional recommendation heading into 2015, logged its strongest quarter in local currency terms since 2008; in dollar terms, European equities edged-out the S&P 500 Index, Over the past eighteen months, U.S. investor sentiment has remained overly exuberant, pointing to a major sell-off or an imminent correction. 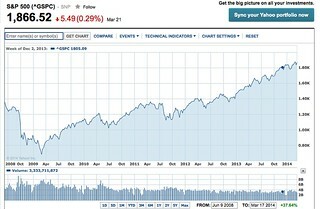 “The worldwide sell-off in late March should come as no surprise. Investors should continue to purchase high quality dividend-paying global multi- nationals on any intermittent decline. The land-scape for earnings has shifted to Europe in 2015 largely because of a weak EURO and the European Central Bank’s (ECB) asset purchase program. Investors should focus on building new and existing positions in euro-zone large-caps and small-caps. “Over the last few months we’ve made the case that European investors would gradually shift out of fixed-income securities and into stocks amid ultra-low interest rates. Europe has been the prime beneficiary of this asset allocation shift supported by an assertive ECB. Roughly 50% of the euro-zone bond market now yields a negative rate of interest on sovereign debt up to five years in some markets, including Germany. 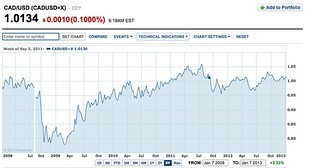 “The U.S. Dollar Index hit a fresh 12-year high earlier in Month but has since started a modest correction. According to Wisdom Tree, European smaller companies sell at 16.8 times trailing earnings and filed about 3.5% in dividends. That’s better value than the S&P 600 Index, which has already recorded substantial profits since the financial crisis low six years ago and trades at lofty levels. “Also, European small-caps should post better than earnings this year compared to larger companies. “We’re big fans of Wisdom Tree. The ETF (exchange- traded-fund) sponsor and manager is a value and income-based ETF specialist, focusing mainly on sectors of the global market that offer deep value, dividends or a combination of both. 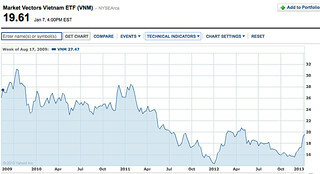 Our reports over the past year (and Merri’s and my personal investments) have focused on this European equity value. For decades, I used three banks and brokers to execute long term value opportunities like this. Jyske Bank (Copenhagen), Smith Williamson (London) and Valartis, (Vienna). Regretfully last year, Smith Williamson stopped accepting US residents. Now I regret that Jyske Bank has also announced that they will stop serving US customers this July. I transferred my Smith and Williamson London account to a local (U.S) community bank that has the ability to buy and sell and hold overseas equities and bonds. I have transferred my Jyske account holdings to Valartis Bank AG. The roots of Valartis Bank AG (Austria) go back to 1890 when it opened for business in Vienna. The bank remained privately owned until 1966 when it was purchased by Nicholas Deak who changed the name to Bankhaus Deak. I began banking with Bankhaus Deak in the early 1980s and over the years watched several new owners change the name several times. 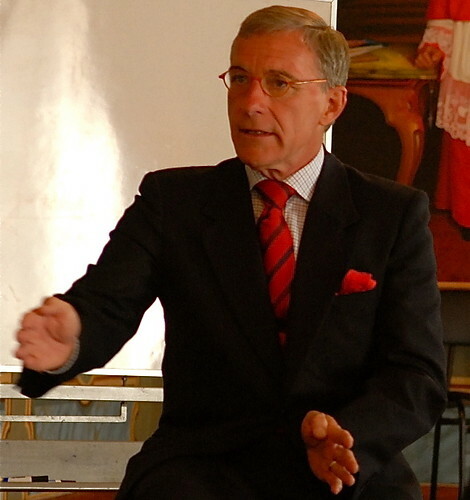 In 1988 Royal Trust Bank of Canada became the owner and the Bank became Royal Trust Bank Vienna. The name changed again in 1995 when Anglo Irish Bank of Ireland purchased the bank. In 2008 the Valartis Group AG., a publicly traded Swiss holding company, purchased the bank, and Anglo Irish Bank (Austria) AG was renamed Valartis Bank (Austria) AG. The staff during this entire time has remained truly multicultural, speaking 22 different languages. London, Copenhagen and Vienna are three of Merri’s and my favorite European cities and we’ll deeply miss the banking connection and our banking friends in London and Copenhagen, but we are happy that Vienna is still offering to serve US clients. The pleasures of Vienna go beyond banking. Volartis Bank in Vienna bank is located just around the corner from Cafe Landtmann a Viennese institution since 1873. Merri and I always enjoy a sidewalk Grosser Brauner with Apple Strudel mit Schlag. We are in good company there! Landtmann has hosted regulars over the years such as: Peter Altenberg, Sigmund Freud, Gustav Mahler, Max Reinhardt, Marlene Dietrich, Romy Schneider, Burt Lancaster, Hans Moser, the Dutch Queen Juliane and Sir Paul McCartney. There are always things we do not know, but one of the safest ways to gain profit and avoid loss is to follow value, which at this time is in European shares. Our latest report shows ways to get good low cost, global, good value diversification with ETFs. Like all investments not all ETFs are of equal value. 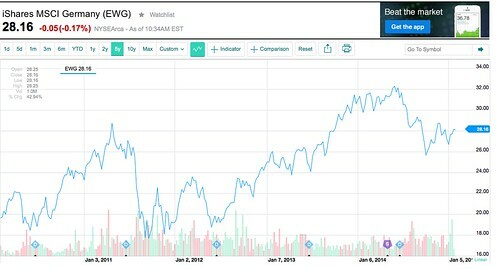 As the popularity of ETFs grow, so too do the introduction of vogue ETFs that do not represent such great value. 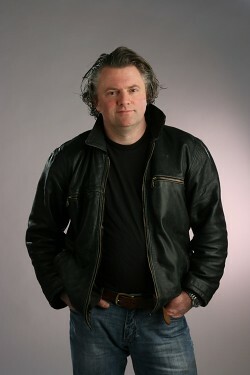 One readers sent this excellent question about ETFs: Hi Gary, thanks for the interesting report. At first glance I believed the idea of ETFs to be a great opportunity, however, after a deeper look it seems the parasites are having their way with ETF investors as well. I am not sure about all of the ways in which the bankers fix ETFs to their favor but, for example, I see that some ETFs don’t rise as much as the index they are tracking rises, and falls further when that index falls. Also, with an ETF your investment is only as good as the ultra leveraged derivative bets made by the investment bank that issues them. So if that investment bank goes bust, your investment probably will too. In other words, by purchasing an ETF issued by Morgan Stanley you are taking on some of the risk that Morgan Stanley remains solvent and that the entire derivatives market remains liquid. Unlike holding real shares of real corps in Germany, for example, that are tied directly to the solvency and liquidity of those businesses. The title of this message, “Not All ETFs are Created Equal” is the first answer to this question. Four websites are linked below to help clarify this fact. Like all investment types there are different horses for different courses. Here are a few points to help each reader decide if ETFs are good for their financial strategy and if so, which ETFs are the right ones. To begin we need to remember the overlying rule of all investments, “Caveat Emptor”, buyer beware. A better phrase is “Buyer Be Aware”. We need to be sure we understand the strategy of the specific ETFs we invest in. We need to look inside the ETF to see what shares are held in its portfolio. ETFs are required to disclose their portfolio on a daily basis at the fund’s website. We need to read the prospectus carefully to understand the investment strategy of the ETF as this can have a significant impact on, income, tax and timing of profits. Some ETFs use cap-weighted baskets of securities, others use fundamental-weighted baskets, and some even use derivative products. There are even some now that use an active or quasi-active management style. Each investment approach carries with it very different risk/return profiles and tax consequences. Many index ETFs look the same, but operate very differently. Review risks, costs and timing with your advisor to be sure that the ETFs you choose fits your specific situation. ETFs are a hybrid of stock and mutual fund. As a mutual fund, good ETFs have very low fees, but as stocks their price is ruled by supply and demand. ETF market prices can differ from net asset value. We want to avoid buying ETFs at a premium (price much higher than net asset value). The purchase of an ETF creates a brokerage commission every time it is bought or sold. Brokerage commissions are usually fixed from a few dollars per trade to $20 a trade. 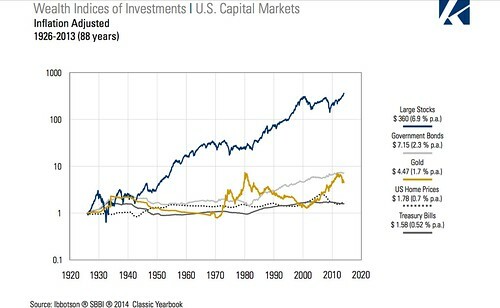 The more we buy at one time the lower the cost as a percentage of the investment. This favors larger lump-sum investments and means that dollar cost averaging in small investments should be avoided. The transaction costs can hurt a dollar-cost averaging in small amounts. Larger quarterly or semi annual investments may be better than small monthly purchases. We should consider the total costs before investing. An expense ratio tells how much an ETF costs. The expense ratio doesn’t include the brokerage commissions. The average ETF has an expense ratio in the 0.50%, which means the fund will cost you $5.00 in annual fees for every $1,000 invested. The best bet for small investors is to use online brokers that charge low or no commissions, IF the ETFs they offer fit our needs. We look for brokers who offer what we need. 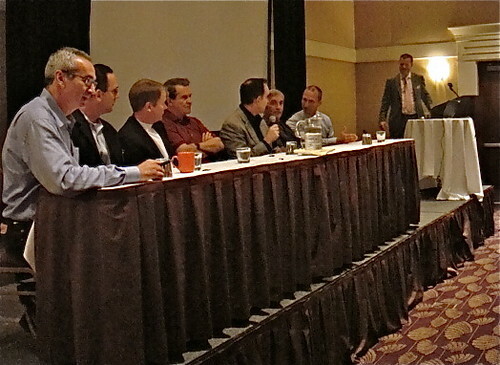 Smaller brokerage firms may have a limited selection of ETFs. We look for the most widely-used and easy to trade ETFs for safety and to reduce buy and sell spreads. Many ETFs that track long-standing indexes such as the S&P 500 have stood the test of time. Many new ETFs stretch the definition of indexing. Be careful of new indexes that track unusual segments of the market. Avoid newfangled ETFs unless you understand them well. Beware of leveraged ETFs. These investments are usually composed of derivative instruments and aim to provide investors with daily performance that tracks the underlying index (including leverage). These are helpful for professional traders making bets on a daily basis, but ordinary investors should avoid them. We need to be careful of thinly traded ETFs. We can usually sell an ETF at any time during the trading day, but the growing number of narrowly-focused and exotic ETFs have not passed the test of time and many are more expensive. We avoid these funds unless we really know what we are doing and the ETF specifically fits our strategy. Passively managed ETFs are designed to track an index. Actively managed ETFs permit the fund manager to buy and sell securities and derivatives according to a stated strategy, described in the prospectus. A benefit of index ETFs is they are transparent and are not dependent on a fund manager who might lose his touch, retire or quit. The exotic and managed ETFs do not provide this benefit. ETFs can be sold short and many have related options contracts, which allow investors to control large numbers of shares with less money than if they owned the shares outright. These positions can create short term aberrations in the ETF share price so we check them out. Esoteric ETFs can have low trading volume and larger spreads which increases cost and volatility. Avoid a liquidity problem, by using larger funds that have proven themselves. We avoid this problem by looking for substantial assets and large daily trading volume. Here is a summation of what Merri and I do and you may want to do as well. We look for two types of ETFs. One is passive ETFs that fit into our strategy of investing in good value markets around the world. 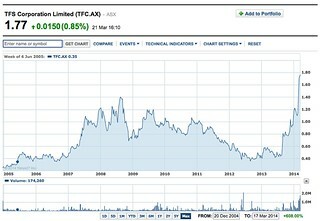 The second are active ETFs that focus on high income, good value shares in good value markets. We dollar cost average on a quarterly basis to keep buying commission costs down. We buy long term positions to keep tax and selling costs down. We look for ETFs in these two categories, that have low expense rations, large portfolios and high trying volume. Posted on 26 March 2014. Tags: Exchange-traded funds, Gary Scott, TFS Corp. Contrasts that show value suggest we should look at investing in wood. Here is a distortion that may lead to profit. 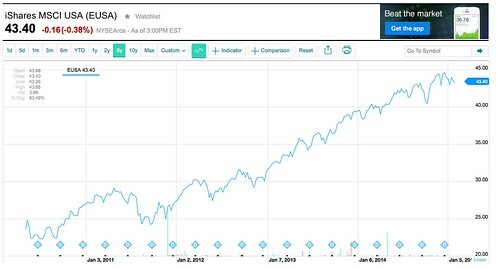 Since June 2008 when the US stock market crashed, the Dow Jones Industrial has risen 37.90%. Since the price of wood is such an important element in the recovery of the global economy we should expect timber shares to rise at a rate at least similar to the Dow or S&P. If this assumption is true, then wood represents great value now. A recent Wall Street Journal article entitled “U.S. Company Targets Australian Timber” by Daniel Stacey suggests this is true. Here is an excerpt: Not long ago, overseas forestry companies were snapping up businesses and entire timber districts in Australia with the glee of mythical lumberjack Paul Bunyan. Now, San Francisco-based New Forests Pty. is planning a new wave of deals, targeting up to $1.7 billion Australian dollars (US$1.5 billion) of the country’s state-owned pine forests ahead of an expected surge in demand from China and the U.S. The company Monday said it had closed a new A$707 million investment fund for timber assets in Australia and New Zealand. It pulled in A$490 million in a similar fundraiser four years ago that it used to buy privately owned forests and sawmills. New Forests Chief Executive David Brand told The Wall Street Journal he planned to use the new war chest to target 250,000 hectares of plantations owned by the New South Wales and Western Australia state governments—even though they may be unwilling to sell. Most of the state-owned forests were planted after World War II, amid a panic over timber shortages after large swaths of domestic softwood were felled to build military installations, and later for reconstruction. Australian forests now provide far too much softwood for the domestic market. Companies such as New Forests and rivals like U.S. investment fund Global Forest Partners in recent years were lured to Australia by a once-in-a-lifetime pipeline of deals after many of the nation’s private plantation companies collapsed following a disastrous flirtation with a tax-shrinking strategy. Here are three ways to invest in wood. 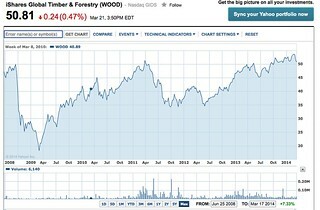 iShares Global Timber & Forestry (WOOD). This NADQ traded ETF seeks to track the S&P Global Timber & Forestry IndexTM, which is comprised of about 25 of the largest publicly-traded companies engaged in the ownership, management or upstream supply chain of forests and timber lands. See details of S&P wood at the link below. TFS Corp. This is one of the few Australian plantation companies that did not collapse due to the disastrous flirtation with a tax-shrinking strategy. TFS owns and manages East Indian Sandalwood plantations in Australia. The shares are up 605% since the company began. 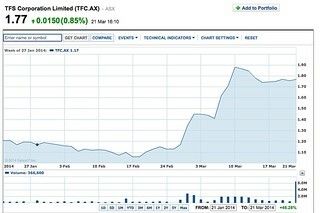 TFS Corp. shares are traded on the Australian Stock Exchange and have risen 46% since late January when we first recommended these shares and released the Sandalwood Investing Report. 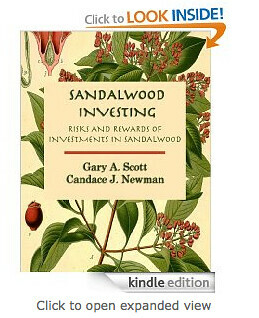 You can also order the Sandalwood Investing Report. Though the shares are up over 50% in the last month this share has plenty of built-in value with potential for a $10 price over the next 10 years. You can order this at Amazon.com here. Spotting economic contrast and trends that create value is a sure way that investments and savings can grow faster than the loss of purchasing power. Ignore what the market is doing. Examine instead the potential value. We looked at the urgent need for multi currency diversification in last weekend’s International Investing & Business Seminar. 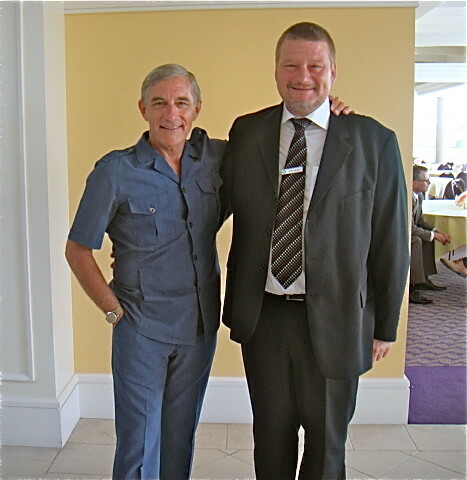 One delegate wrote: Dear Gary and Merri, Thank you for the wonderful seminar on International Investing & Business! Every part of the weekend stimulated my thinking and understanding, and I came home inspired and ready to work. 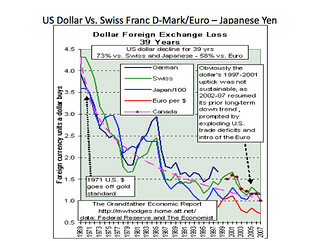 At the seminar we looked at seven reasons why the US dollar is in a precarious position similar to five years after the 1980s recession when it suffered a tremendous fall as shown in this chart from Grandfather.com. 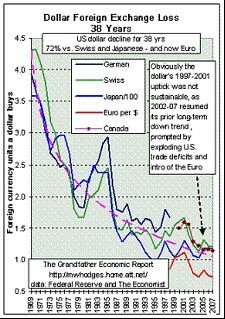 Chart from Grandfather.com Economic Reports. 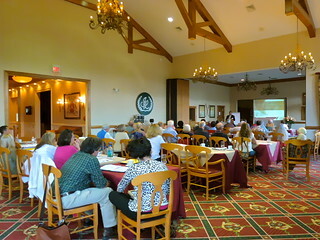 At the seminar we looked at how to structure savings in a safer way with a Three Point Wealth Protection Posture. Here are charts we viewed at the seminar. 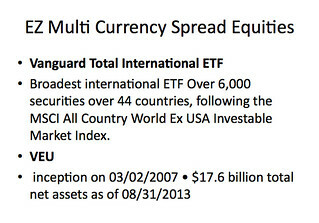 Finally we reviewed three ways to gain this multi currency diversification… the first being three ETFs that make it easy for any sized investor to hold a multi currency portfolio. 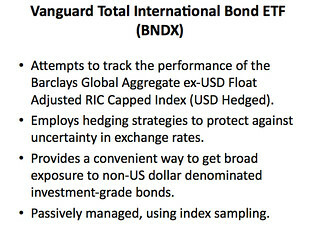 The first is the Vanguard Total Bond ETF for investors who want to hold non US bonds in multi currencies. The second is the Vanguard Total International ETF which allows small investors to spread their savings into other currencies via 6000 non US equities around the world. The third is a managed multi currency account managed by ENR Asset Management in Canada and held by Jyske Bank in Denmark. 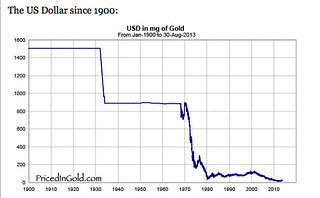 This portfolio invests in five currencies with strong fundamentals and gold. 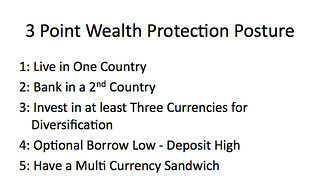 You can learn how to develop a multi currency portfolio with our Borrow-Low Deposit High Multi Currency Report or join us at our next International Investing & Business Seminar. A Canada & Vietnam multi currency mix can add safety and profit to your savings and portfolio. The huge demographic problem… plus debt and Congress’ inability to fix these problems means we need diversification out of the US dollar. The Canadian dollar has been strong against the US dollar. Canadian investments make sense… for now. Canada has solid banks, vast agriculture, mining operations, and energy reserves making it perhaps the most stable country in the world. Despite the recession in 2007, the Big Five Canadian banks have booked $18.9 billion total profits while the five biggest U.S. banks had $37 billion loss. Canada is rich in water and natural resources, fertile farmlands, aluminum, copper, gold, iron ore, nickel, uranium and the “black gold” of Albertan oil sands. 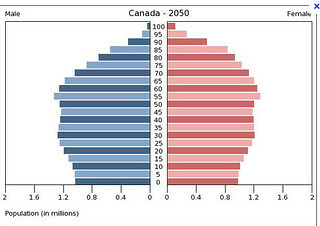 There is plenty of land, resources, a immigration policy that ensures the sustainability of social programs and cushions against the damaging effect of an aging population, the future is pretty bright. 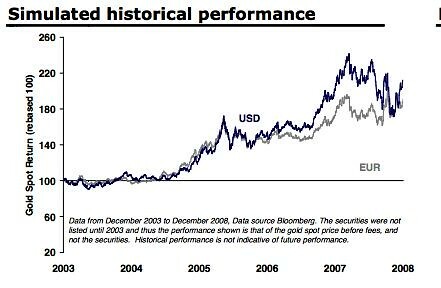 The Canadian equity market has performed really well long term. The MSCI Canada Index ETF (Symbol EWC) is an easy way to cover the Canadian market. EWC seeks investment results that correspond generally to the price and yield performance, before fees and expenses, of the MSCI Canada Index. The fund invests at least 90% of its assets in the securities of its underlying index and in depositary receipts. The underlying index consists of stocks traded primarily on the Toronto Stock Exchange. 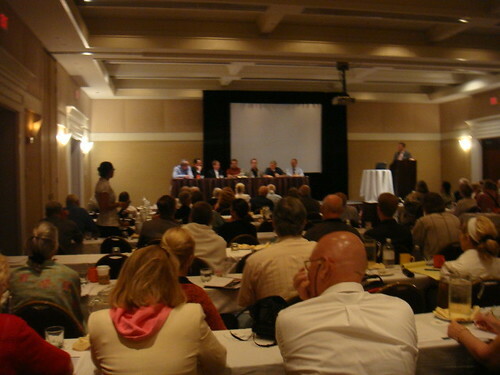 Components primarily include energy, financial and material companies. 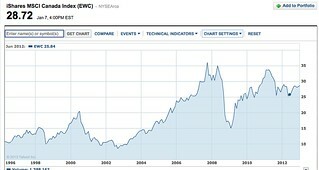 See more on the EWC ETF at the link below. 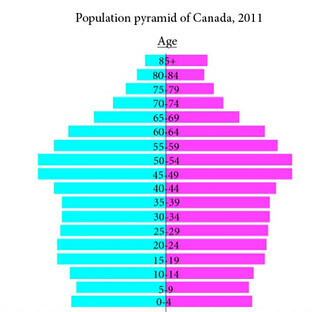 Yet Canada’s population pyramid does not look so good. Over the years, like most of the industrialized world… demographics get worse! 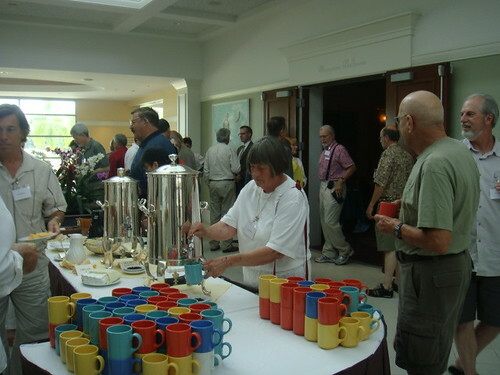 There will be almost as many at retirement age as those at working age. So a mix with another younger country (demographically speaking) adds more long term profit potential. 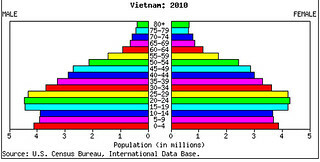 Vietnam is a good example. 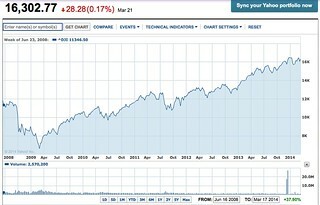 The market is down as this chart shows. American faces a bad huge demographic problem and debt. This could weaken the US dollar. An 80% in Canada and 20% Vietnam mix could provide diversification…safety now in Canada and long term profit potential in Vietnam.